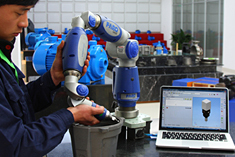 FuJian YinJia electromechanical co., ltd is a professional enterprise which has production of mold, casting sand and water pumps, as the scientific research, production and sales in one of the enterprises. The company has key projects of enterprises in Ningde City, Fujian Province, one of the private sector-Top 20, the China Construction Bank AAA grade credit businesses, elected in Fujian Province for eight consecutive years with attached importance to contracts and trustworthy enterprises. 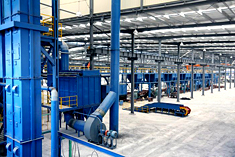 Founded in 1990, the plant covers an area of 18,000 square meters, more than 600 staffs, more than 70 professional and technical personnel (including senior titles accounted for 40 percent). 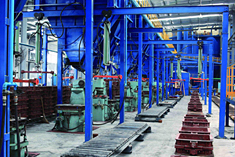 In 2006, companies invested 120 million in Saiqi, Fu'an City for 100 acres of land, constructing the modern motor precision casting processing park. The project has been listed as key projects in Province, will be put into production in 2010. 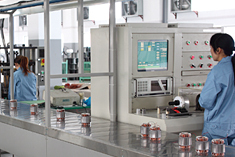 At the beginning of the company founder, established a "High-tech, High Standards and High-performance," development of high-tech enterprises, and spend lots of money in introducing advanced equipments and techniques, and Tsinghua University, Jiangsu University, and other universities and research institutions to achieve technical cooperation, quickly Independent innovation advantage, with a number of patented products and outstanding products in Fujian Province was awarded a number of honorary awards, "YinJia" trademark was named " Famous brand in Fujian." 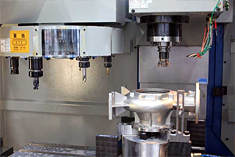 Our companies have researched and developed mold, casting sand and water pumps, over 300 varieties. Products have passed (CCC) certification, ISO9001: 2000 Quality System Certification, the EC CE Certification and CSA Certification, and obtained Export Permits. 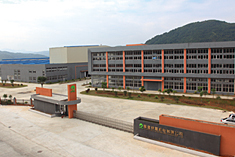 Sales networks covering the European Union, North America, Southeast Asia, more than 10 countries and regions, is one of advanced exports of private enterprises in Ningde City. Today, the company is expanding efforts to enhance the brand. YinJia will be adhering to the "integrity, innovation, beyond" spirit of enterprise, adhering to the "Science and Technology as the first, Talent as based, Management for the Top" management philosophy, faced to the fierce market competition, Advanced with the times, taked up with YinJia for creating "Integrity-oriented Enterprises, Brand-oriented Enterprises, Service-oriented Enterprises" to achieve "Cultural Cohesion Brand, Effective Brand Development, Science and Technology Brand, and Win-win Sharing Brand" brand development strategy.